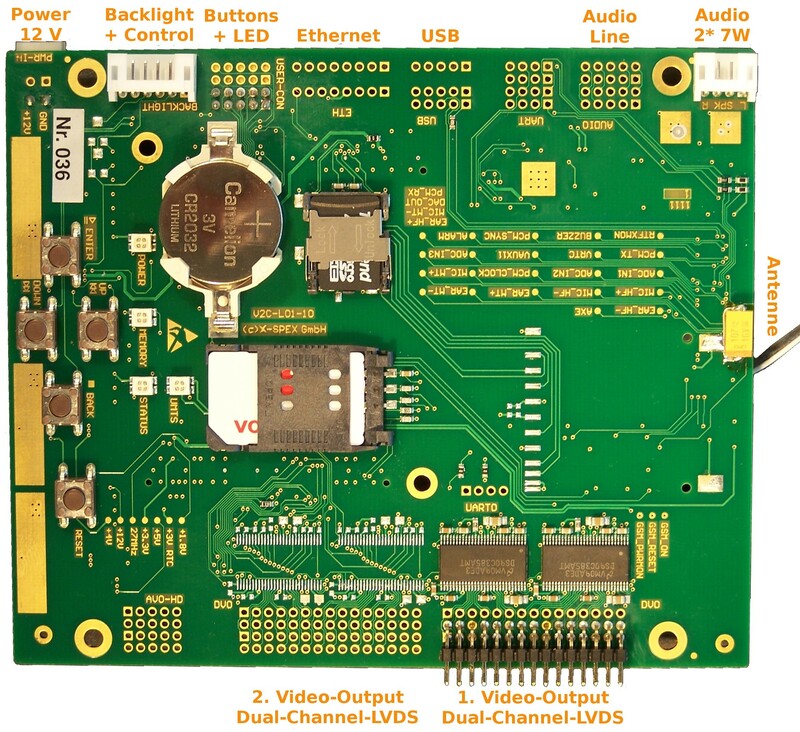 The L01 is a video player in the format of “DIRIS Boards” for direct control of Displays/ Panels via LVDS. As a platform, “Diris board U-HD1 L01” can be delivered in different configurations according to specific customer requirements. Control of a Full-HD display (1920×1080 pixels) for dual-channel LVDS with a resolution of 960×1080, that means horizontally, each pixel is represented twice. Smaller resolutions, such as 1440×900, are possible through a customized driver. Alternatively, single-channel displays up to 1366×768 are possible. Analog clock, positionable graphics/ images, ticker text and much more. This “DIRIS-Board” can be delivered in different configurations according to specific customer requirements.